How long can PAP sustain its 'holy order' system of politics? Minister Chan Chun Sing made headlines recently when he said he and his colleagues must be prepared to take on the responsibility of being prime minister when called upon. As one of the few front runners for the top post in Singapore politics, Mr Chan had his comment over-interpreted by at least one news outlet. Yet his remark is perfectly consistent with a tradition of ministership akin to entering a holy order requiring total commitment. That phrase dates back to former deputy prime minister Goh Keng Swee's speech in 1984 in which he made clear that "Cabinet government is not a debating society". He then told the second generation of People's Action Party (PAP) leaders that "some of you will discover before long that you have joined a holy order that expects total commitment from you. That will be your moment of truth". Three months after Dr Goh's speech, Mr Lee Hsien Loong, then 32 and who is now Prime Minister, entered politics. Dr Goh's words clearly resonated with him because he quoted them on numerous occasions - including once at Dr Goh's funeral when he paused in an emotional moment while citing the "holy order" speech in his eulogy. What about those due to succeed Mr Lee? This past month threw up signs that Dr Goh's vision remains intact among younger leaders too. Two key members of their cohort responded with "holy order" logic when faced with tricky questions from journalists. Speaking to The Straits Times last month after stepping down from the Cabinet to be Speaker of Parliament, Mr Tan Chuan-Jin was asked about perceptions that his new role was a demotion as it came with no policymaking responsibilities and a lower salary, even if it was higher in protocol. Mr Tan said: "All of us know that when called upon, we must not shirk from our responsibility." Uncannily, those exact same words were used last week by Mr Chan, a Minister in the Prime Minister's Office, at a dialogue with members of the Foreign Correspondents Association. Mr Chan was asked by a BBC journalist if he "would like the job" of prime minister. He replied: "All of us have to be prepared to do the job when called upon. And I will just repeat what (Transport) Minister Khaw Boon Wan shared with us: In Singapore, leadership is a responsibility to be borne, not a position to be sought. I think I can speak for my fellow colleagues that we all believe in this... All of us know that when called upon, we must not shirk from our responsibility." The duo's comments shed light on how their generation of PAP leaders understands Dr Goh's point that because of the weight of responsibility PAP ministers bear - the welfare of millions of Singaporeans is at stake - there was no room for an individual's private motivations. Hence the need for "total commitment". That is not unlike entering, say, a religious order in the Catholic Church where you accept strict discipline imposed by the group. You go where you are asked to, not where you want to, because the work you do is of such great import. When it comes to the PAP Cabinet, the ordinary understanding of this subsuming of the individual under the group is twofold. The first is collective responsibility. You may not agree with a decision but, once it is taken, you must be ready to defend it publicly. This is so in most Westminster systems. The second is where the PAP possibly goes one step beyond many Westminster systems: If approached to take up an unattractive job, you do it as a good soldier would - without asking questions. It is not hard to imagine many more among the young who would value personal agency enough to not accept the absolute diktat of the party. They may have other priorities that would render their commitment to the PAP less than total - such as family or a passion outside of politics. A good example is Mr Khaw, who accepted what one political observer called the "poison chalice" after the 2015 General Election - the transport portfolio. Mr Tan's willingness to move out of Cabinet was arguably in a similar tradition. Mr Chan's comments about coming forward when asked signify that total commitment is not just about accepting less sought-after jobs, but also about accepting the ultimate prize - the job of prime minister. Some may read this as false modesty. After all, why would anyone dodge the post of prime minister? The truth is, even as many in the Cabinet may secretly jump at the chance to be first among equals, there are probably just as many among them who dread it for one reason or another - the stress of the job, feelings of inadequacy or fear of messing it up. But how long more can the PAP sustain this "holy order" politics? Dr Goh said the PAP leaders of his generation possessed certain traits as a result of their life-and-death struggle with the Communists - "a long searing fight of this kind must leave its imprint on the contestants". The generation of leaders that Mr Chan and Mr Tan belong to may not have experienced the same fight. 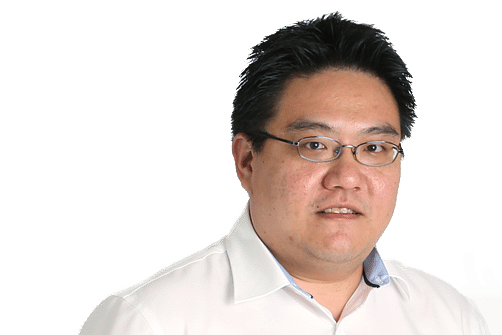 But they were born in the 1960s, and would have grown up in a much less prosperous and secure Singapore - and may hence have instincts that partially match Dr Goh's. Having seen how effective PAP's leadership was in transforming Singapore, they are more inclined to walk the same path. The question is that of those after them. Mr Chan spoke with no illusions that the generation younger than him would do likewise. He said: "If the country is at war, there's an epidemic, there's a famine, there's a recession, the whole place is upside down, maybe you will have people who are very passionate who will come forth, sacrifice their personal aspirations, family and so forth, to govern the country, very much like the 1965 generation. But it is a fact that in every successful country, the more successful you are, the more difficult it is to find people... to come forth to serve, over and beyond what they want to do for themselves." If he is right, the PAP will face a dilemma in the years ahead. It is not hard to imagine many more among the young who would value personal agency enough to not accept the absolute diktat of the party. They may have other priorities that would render their commitment to the PAP less than total - such as family or a passion outside of politics. If so, the PAP can choose to loosen its "holy order" requirements - by letting ministers have more say over postings or engage in some public disagreements. Alternatively, if it does not want to compromise, it may have to pick from an ever smaller pool of people. What the PAP chooses when faced with such a quandary will be of great significance. As Dr Goh might say, it will be "a moment of truth" - for the PAP, as well as for Singapore.